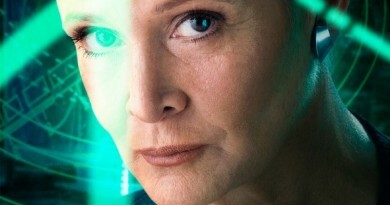 To be a mother in the Star Wars universe is to risk almost certain death. Since the release of Star Wars in 1977, the majority of mothers or mother figures in the franchise have ended up dead, either on screen or in the expanded universe. Unsurprisingly, this has led to distinct lack of storylines in the Star Wars universe which have focused on mothers and their children. “Legacy of Mandalore,” built upon a mother-daughter relationship, shines as a result due to the rejection of this tired trend and continues Rebels’ Season Three back half resurgence of strong and entertaining episodes. Another reason the episode performs so well is the daughter in this equation is Sabine Wren. 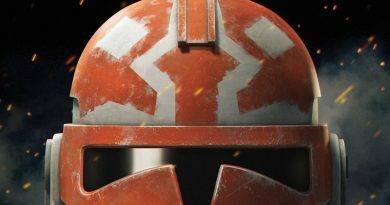 While Sabine’s character in Season Three seemed woefully unexamined in “The Antilles Extraction,” which dropped the Mandalorian warrior in an Imperial academy, an environment ripe for the exploration of her past, the scales shifted decidedly in her favor with “Trials of the Darksaber.” “Trials of the Darksaber” will remain one of Rebels’ premiere episodes for demonstrating the power of storytelling crafted on the foundation of character, relying on conversations and interactions between to brilliantly entertain, and entertain “Trials of the Darksaber” did. It pulled back the curtain on Sabine’s past, her role in developing a weapon the Empire used against the Mandalorians, as well her flight from the Empire, seen as dishonorable by her family, and forced Sabine via lightsaber training with Kanan Jarrus to reconcile it with what she must do – return to Mandalore. “Legacy of Mandalore” is Sabine’s return home to confront her people, and more specifically, her mother, for the sake of Mandalore and for the sake of the rebellion. Upon arrival in the regional home of Clan Wren, Sabine, Kannan, Ezra and Fenn Rau, are shot down by jetpack-wearing Mandalorian warriors. 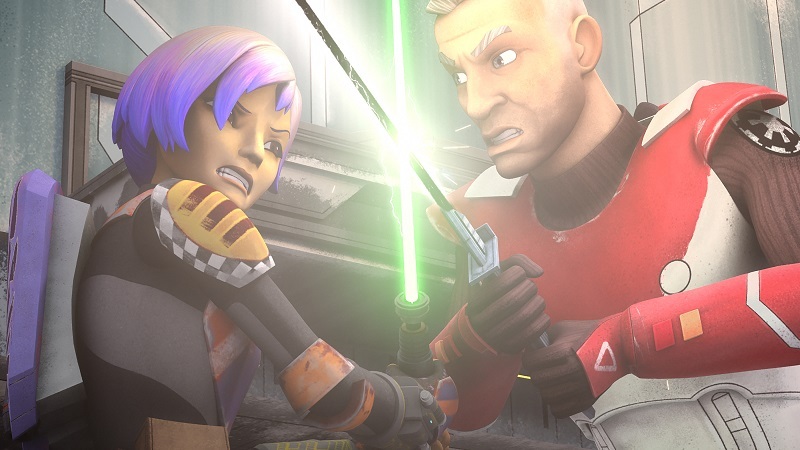 This represented the brightest moment of their return until the conclusion of the episode, as Sabine’s journey only grew rockier upon discovering her brother, Tristan, had become one of the Mandalorian Imperial Supercommandos under the command of Gar Saxon, whom we previously met in “Imperial Supercommandos.” The next family member offered an even colder welcome, Sabine’s mother and head of the Wren Clan, Countess Ursa Wren. The mother-daughter dynamic between Ursa and Sabine forms the core of “Legacy of Mandalore,” offering everything from their own relationship to deeper insight into the Mandalorian warrior culture that was somewhat vilified in The Clone Wars. In the former show, Mandalore after centuries of constant warfare had decided to adopt pacifism as a means to move forward as a people. This experiment was overseen by the Duchess Satine Kryze, close friend to Obi-Wan Kenobi, who battled against those Mandalorians who wanted to continue her people’s warrior ways. That group was Death Watch, led by Pre Vizsla, who’s house encompassed Sabine’s family clan, and this connection was touched upon in “The Protectors of the Concord Dawn.” In the end, both Pre Vizsla and Duchess Satine were killed by Darth Maul, and the in-show history of Mandalore is surprisingly even more complex than the storylines drawn from The Clone Wars to form the story in “Legacy of Mandalore.” Nevertheless, this episode, via our introduction to Clan Wren proper, offers a fresher look at Mandalorians who never set aside their armor and have continued the martial traditions that many have long loved since the introduction of Boba Fett to the universe. In the capacity of Mandalore condensed into one leader, we have Ursa Wren. Ursa’s initial reaction to seeing her daughter is to order her and the Jedi’s arrest, a decision paused by the presence of the Darksaber. 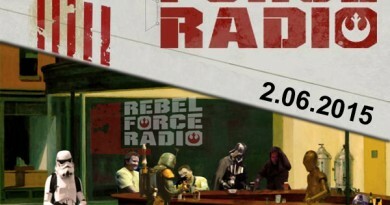 The weapon is not a panacea to smooth over the problems between mother and daughter, but serves as a prelude into a deeper conversation as Ursa explains to Sabine the cost of her disloyalty to the Empire, from her father serving as a political hostage to her brother serving as the Empire’s Mandalorian soldier. We learn more about what Sabine sacrificed when she chose to run away and at the same time, we also learn how much her mother is willing to sacrifice to ensure the safety of her clan – not Sabine. In a deeper sense, the beauty of Ursa’s and Sabine’s conversation, a scene given quite a bit of screen time, is the underlining nature of it. The pair enjoy the frank intimacy of family and speaking honestly of their feelings. It’s a matter of a mother coming to terms with the fact that her daughter had failed to become what she had hoped for, but still admiring her for who she had become. Balanced against Ursa’s very clear disappointment and anger with her daughter for her past behavior, the result is incredibly moving. It’s rare to find time in a television show dedicated to such a moment and absolutely rare in Star Wars given the aforementioned storytelling based matricide. After the poignant scene between mother and daughter, Ursa immediately accepts a communication from Gar Saxon, a surprise twist and an additional textured layer of her character. The leader of Clan Wren agrees to hand over the Jedi and the Darksaber in exchange for the safety of Sabine, an agreement which Saxon reveals upon arrival to be one he has no indication of keeping. The Imperial Viceroy of Mandalore opts instead to wipe out Clan Wren. In a society that holds honor as incredibly important, Saxon’s failure to keep his word is disturbing to the Mandalorians, and unsurprisingly, his attempt to almost literally knife Ursa in the back in the fight that ensued draws him into a lightsaber battle with Sabine. In what may be the only lightsaber duel ever depicted in Star Wars between two non-Force users, the fight between Sabine and Saxon is beautifully animated and scored as the two quickly find themselves on the surface of the frozen lake outside the Wren Clan’s chilly home. When Sabine first showed her mother the Darksaber and admitted that she had not defeated Maul for possession of the weapon, Ursa summarily dismissed Sabine’s ownership of the weapon – she had not earned it. As a symbol of Mandalorian leadership, it was our first clue that Sabine was not ready to become a leader of her people. Leadership, in Mandalore, was something to be earned and not simply given. This perspective of the Darksaber underlined the duel between Saxon and Sabine, as the Imperial Viceroy had as much claim to the weapon as Sabine, neither had earned it. The duel itself set on cracking ice echoed Christian Bale’s training under Liam Neeson in Batman Begins, and immediately called back “Trials of the Darksaber,” as Sabine used the forms she had practiced with Kanan to defeat Gar Saxon and claim the first Mandalorian lightsaber. 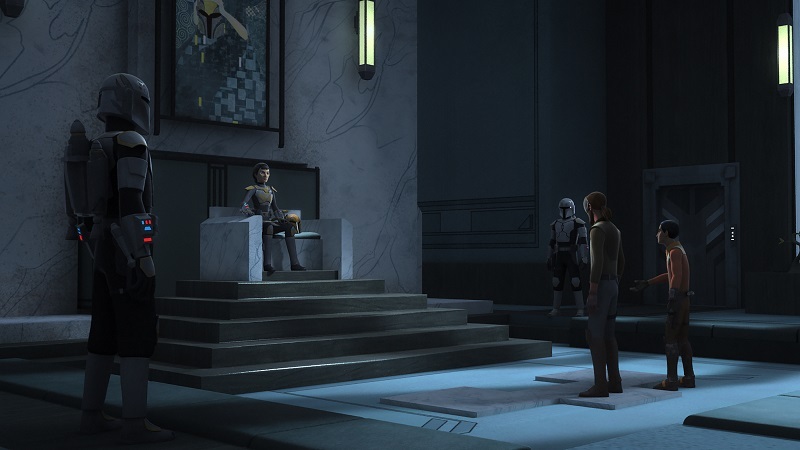 The conclusion of “Legacy of Mandalore” was surprising in the decision by Sabine to remain with her people, to find a leader among them to lead them against the Empire. This decision to remove Sabine from the crew of the Ghost is almost definitely a temporarily one, as the Mandalorian warrior with a flair for artistry, is one of the best characters on the show, and with only a handful of episodes remaining will undoubtedly reappear and return in some capacity before the conclusion of the season. It’s also a decision which while detrimental to those wanting more Sabine, something quite understandable given the quality of her last two centric episodes, deepens her character considerably. This is the best path for Sabine Wren to take to continue to become the rebel and hero we already know her to be. “Legacy of Mandalore,” as a production was premium Rebels, from the pacing, dialogue, framing of scenes, directing, and scoring. Paired with “Trials of the Darksaber,” and we have one of the best two episode arcs produced under the Rebels title. 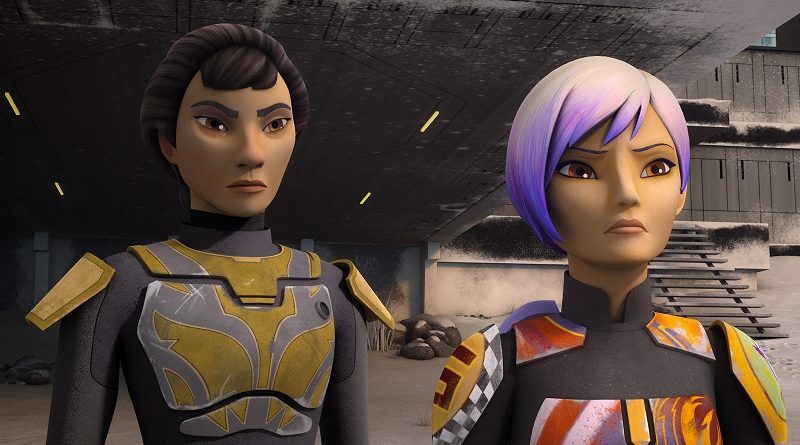 More importantly, the two stand out for their examination of the featured characters, namely Sabine and Ursa Wren. Would “Legacy of Mandalore” been a lesser episode if Ursa had been Sabine’s father? The answer to that question is yes, as Star Wars has overlooked and ignored the contributions of mothers for too long and only now, thankfully, have begun to explore such storylines. 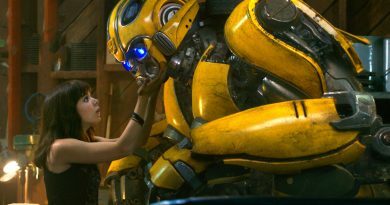 The lack of mothers in the universe isn’t just a knock against motherhood, but an unintentional statement on the importance of the inclusion of women – that is, until now content creators simply did not see them as important to the stories they wanted to tell. “Legacy of Mandalore” reveals that such inclusion can result in powerful storytelling and should serve as a template for future stories in the galaxy far, far away. For more on “Legacy of Mandalore,” check out the episode guide on StarWars.com.